In the last league game in the Western Premiership on Saturday, Stafforce Dumfries lost out to Ayr who claimed the west’s top title when they secured the points they required at Nunholm. In the first innings Dumfries had Ayr on the back foot, aided by three wickets from Alan Davidson, at 91 for 4 and then 172 for 6 with five overs left. However a crucial run blitz of over seventy runs in those last five overs ultimately set up their title win when they managed to reach 246 for 7. 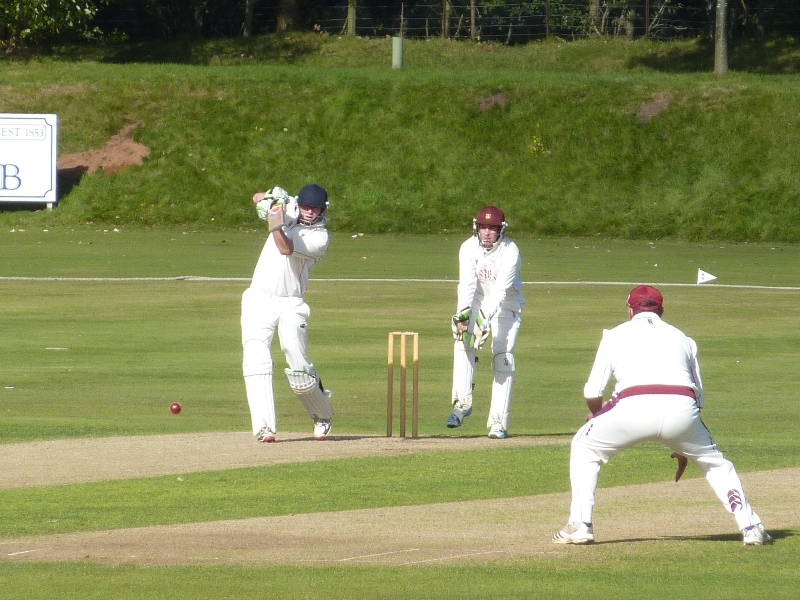 Then once more Dumfries were well placed in the second innings when they were 100 for 2 at the half way stage. The Solarae Dumfries Man of the Match, Alan Davidson, again figured with the opener having scoring 34. However wickets fell after the drinks break and when a seventh went down that ensured Ayr the necessary points for the title. Scott Beveridge kept Dumfries in the hunt for a while with a belligerent score of 47. 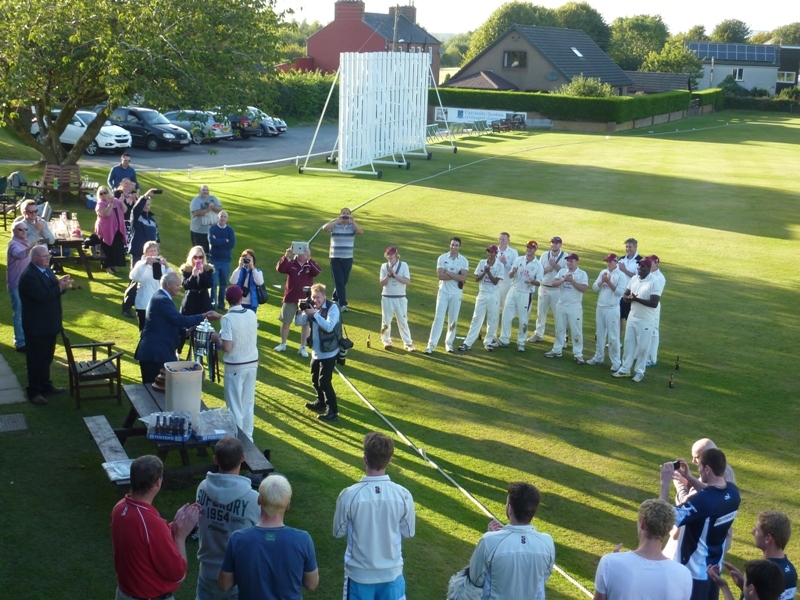 However, when he was caught in the deep the remaining wickets fell with Dumfries 185 all out and meant the Nunholm side took fifth place in the league. On Saturday Dumfries play the rearranged Murgitroyd T20 semi-final against Clydesdale in Glasgow and this week opening bowler Niall Alexander made his debut Scotland ‘A’ away against Lancashire 2nd XI in a three day encounter. In the Western Premier Reserve league Nunholm finished in the league’s fourth spot after a loss at Cambusdoon. Nunholm set a target of 107, with Andy Reed the top scorer with 28, but home side Cambusdoon successfully chased that for the loss of four wickets with the Bryce Walker Man of the Match Stuart Alexander taking three of the wickets to fall. The Dumfries Sunday XI won a high scoring encounter at Dalton after the home side posted 177 for 7 with Robert McBride the top scorer with 48 and Mark Irwin taking three wickets. Lakeland Fluid Power Man of the Match Peter Lojszczyk then delivered a match winning innings of 55 not out, assisted by 37 from Chris McBride, for a five wicket win.